The Audi R8 has always been a fun looking car, almost Hot Wheels in its style. The rear-mounted engine showcased through the glass hatch, aggressive side scoops and rear spoilers, and stunning curves throughout, it embodies Audi intensity. Hell, it was even chosen as the showcase vehicle for Tony Stark throughout Iron Man back in 2008, and that alone should say enough. 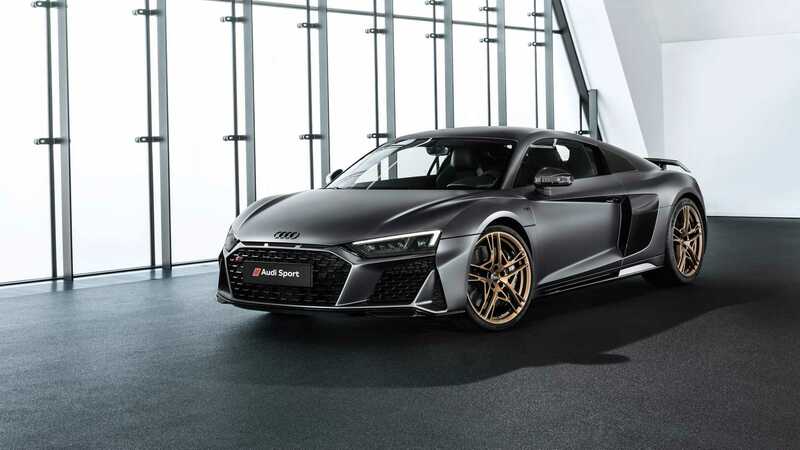 That vehicle itself was also one of the first R8s to use the V10 Stratified Injection system, revealed on December 8, 2008; in honor of that reveal, Audi has decided to release a special edition Audi R8 V10. Named the Audi R8 V10 Decennium, this gorgeous R8 will be available in matte Daytona Gray, with bronze wheels and bronze exhaust intake. A combination of colors that to me are sinister in their appearance, showcasing just how mad the performance is from this vehicle. You could also pick it up in a few other metallic shades such as Ascari Blue, Kemora Gray, Mythos Black, Floret Silver, and Suzuka Gray, but the matte is just…fitting for such a vehicle. With the V10 pumping out an insane 620 horsepower and 428 pound-feet torque, you’ll reach 0-60 in about 3.1 seconds, and a top speed of 206 miles per hour. But the performance is just half enjoyment of enjoying a V10 engine sitting right behind you; to quote our friend at Quattro Daily and Top Gear, “It sounds masterful, the R8, with the sort of mechanical wail that makes the hairs on your arms stand up.” I know I’ve experienced that feeling but a few times, but the enjoyment of a vehicle like the R8 with all the control beneath your fingertips, and a monster full of power resting right behind, is truly something of another world. For those hoping to get their hands on one, good luck, as although expected to be available this spring, only 222 models will make it to production at a price of 222,000 Euros (or about $249,000). Inside, you’ll find the standard R8 interior as well, with all the modern comforts and touches expected of an Audi Sport vehicle. But if it’s what your heart truly craves, to drive a sinister four-ringed monster down the road, just let us know here at Audi Wichita.